It is now well accepted that the characteristic airway inflammation of asthma develops from multiple and distinct molecular processes. This heterogeneity is captured in the description of phenotypes, which are categorizations based on empirical observations. 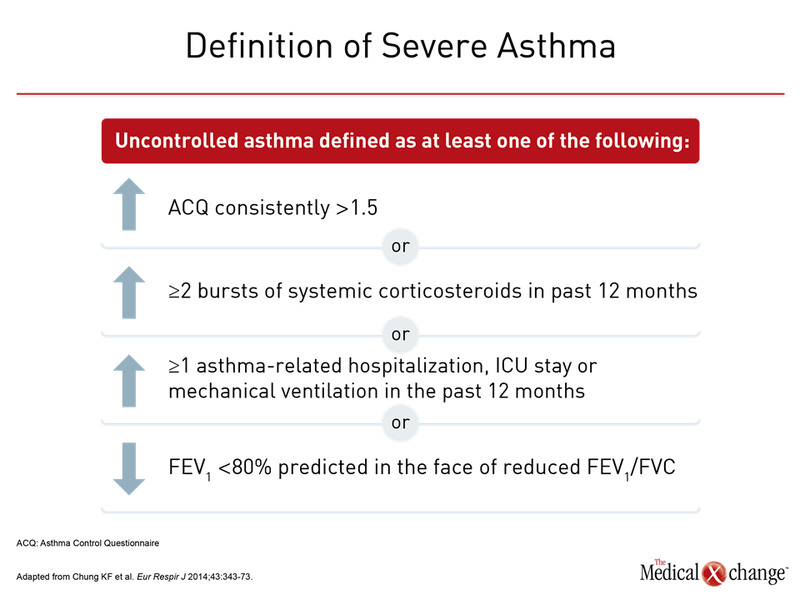 Differences in apparent triggers, age of onset, response to therapy, and other disease features support the hypothesis that the term asthma encompasses a set of clinical syndromes rather than a single disease entity. As an approach to diagnosis and treatment of severe asthma, phenotyping represents a fundamental reorientation to the presumption that a stepwise treatment algorithm can be uniformly applied to all asthma cases. 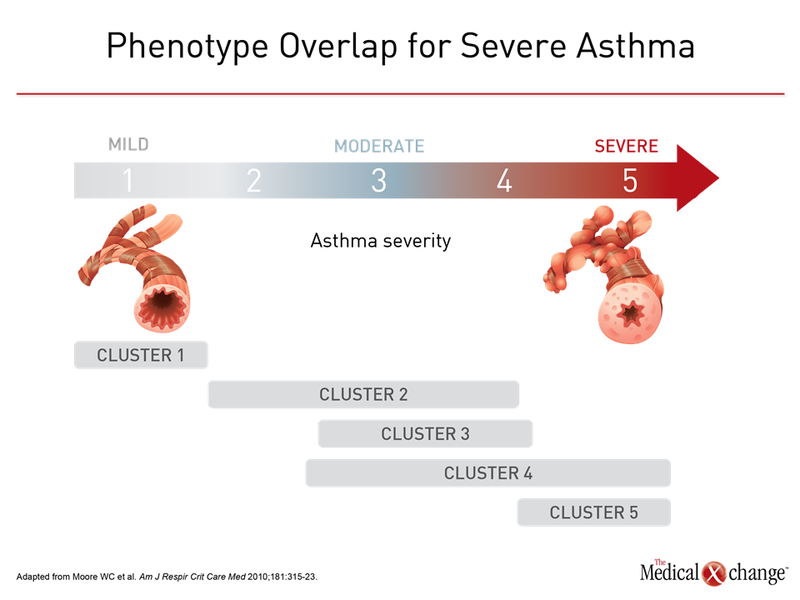 In severe asthma poorly responsive to standard therapies, phenotyping has been the basis for understanding disease heterogeneity and to seek options for individualizing treatment. Most recently, phenotyping has been driving efforts to identify differences in immune modulators active in mediating airway inflammation. Progress in this area can be credited with a growing number of targeted therapies for severe disease. Precision medicine that addresses underlying pathophysiological mechanisms in patients with asthma is dependent on progress in defining endotypes. Unlike the descriptive phenotypes of asthma that have long been used to group patients by observable characteristics, the term endotypes recognizes distinct and potentially targetable pathophysiological mechanisms. In asthma, the identification of meaningful endotypes remains at an early stage, but there has been progress. Biomarkers predicting a greater likelihood of response to currently available targeted therapies provided an initial step toward individualized therapy. As an umbrella term for a complex and heterogeneous set of pathologic processes, asthma, particularly in its severe forms, is unlikely to be distilled into endotypes defined by single molecular mechanisms. Rather, as molecular, genetic, and epigenetic events are employed to distinguish endotypes, the goal will be to identify key processes that can be targeted for precision medicine in those with shared disease features. 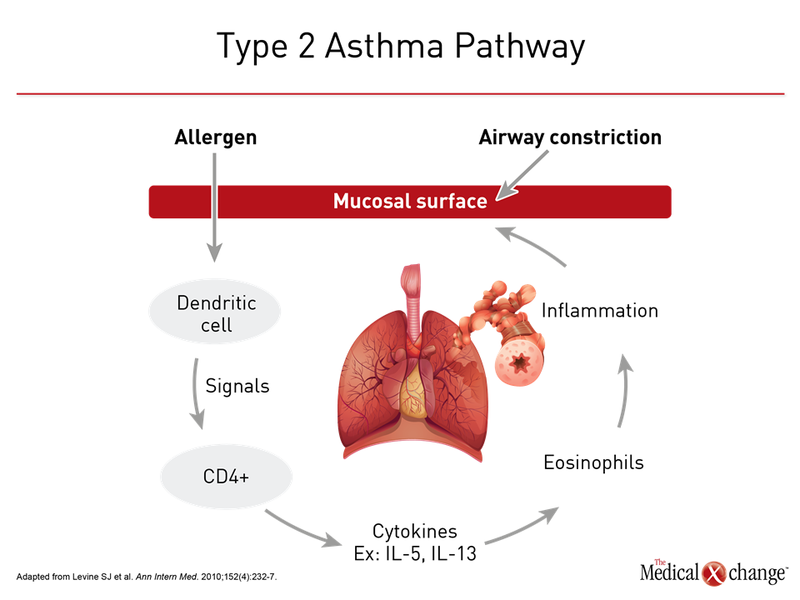 Eosinophilic asthma has been validated as a clinically relevant phenotype at least in part by the clinical benefit derived from therapies that limit eosinophil activity. 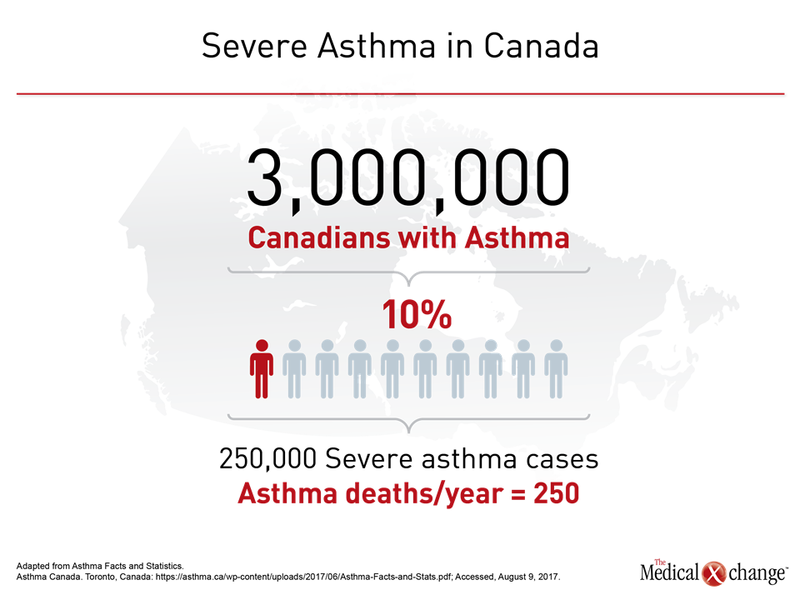 Biologics developed for this purpose are currently reserved for patients with severe asthma, a population that by definition is not adequately controlled on standard therapies. As a biomarker for use of biologics in eosinophilic asthma, eosinophilia is a prerequisite, but it is an imperfect predictor of benefit. As asthma is a complex and heterogeneous process, additional biomarkers may further define the patients most likely to respond to agents that downregulate the activity of this pro-inflammatory cell. In the diagnosis and treatment of severe eosinophilic asthma as it is currently defined, treatment with a biologic should be undertaken within a framework of expected benefit, safety and cost. Strategies for patient selection are likely to evolve as additional clinical data become available. Monoclonal antibodies targeted at the interleukin-5 (IL-5) pathway have been associated with benefit in severe eosinophilic asthma suboptimally responsive to optimized inhaled therapy, such as corticosteroids plus a long-acting beta agonist. The inhibition of IL-5 has helped establish eosinophils, which mature and proliferate in response to the IL-5 cytokine, as a targetable mediator of airway inflammation. An evaluation of the rationale, design, and outcomes of the clinical trials with IL-5 inhibitors informs current indications, but their role may evolve on the basis of studies designed to address unanswered questions, such as the relative importance of eosinophil depletion. Differences in anti-IL-5 therapies, including their mechanism, may be clinically relevant and contribute to a more thorough understanding of how these therapies control airway inflammation. Although biologics have been relatively well tolerated even when administered over extended periods, patient selection and individualized care are essential to their application in cost-effective treatment.